Spring is here! The weather is great for outdoor activities with family and friends but can be miserable for allergy sufferers. Louisville consistently ranks in the top 3 for worst allergy cities in the nation and because we live in a valley, it keeps the allergens in this area very stagnant. With all the trees and rainfall, it means we have high pollen counts with nowhere for that pollen to go. Medications such as antihistamines, nasal sprays, steroids and decongestants may provide temporary relief, but do not address the underlying immune problem. Immunotherapy is one of the only scientifically proven methods to control allergies for long-term benefits. Immunotherapy is ideal for those who cannot avoid their allergic triggers and have problems managing their allergies with over the counter medications. 1. Avoid your allergy triggers. The best way to find relief is to find out what you are allergic to and avoid those triggers. This can be done through allergy testing. 2. Keep windows closed in your house. 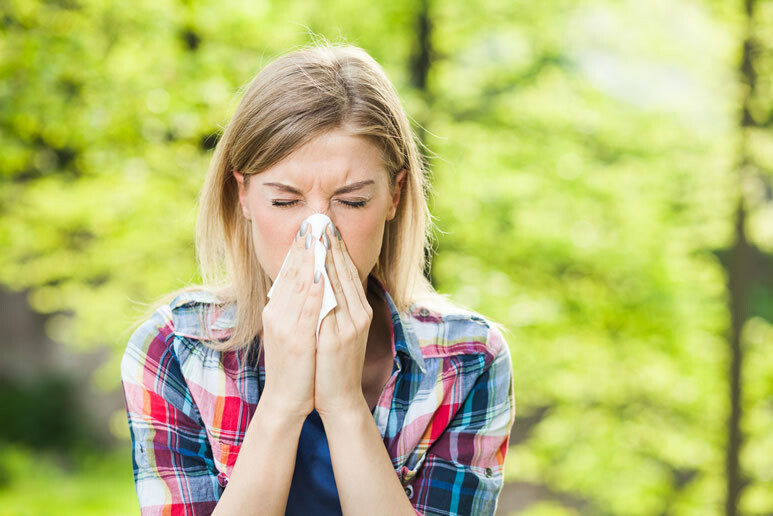 It can be tempting with beautiful weather to open the windows in your home and get some fresh air, but that can be a dangerous idea if you have allergies. You are allowing those pollens into your home. 3. Keep windows closed in your car. The same can be said for your car. On nice days, you are more prone to roll the windows down and open up the sunroof, but try to resist the urge to do so. 4. Mowing grass. If you are allergic to grass, it would be a good idea to find someone to mow it for you. Another option would be to wear a mask to help with allergens. Make sure to use a sinus rinse after mowing the grass to rinse out your nasal passages and take a shower immediately after. 5. Shower at night. This will allow you to rinse off any pollens so you don’t bring them to your bed. 6. Don’t rub your eyes. Make sure you wash your hands often as you are very likely to carry pollen on your hands throughout the day. You can carry these allergens directly to your eyes if you constantly want to itch your eyes. 7. Over using decongestant nasal sprays. These sprays can help with instant relief for a few days, but if they are overused, they can cause nasal congestion and become addictive over time. 8. Timing. As a general rule, the pollen count is higher between 5am-10am and during warmer and windy days. Try to avoid your runs or walks during these times. If you would like to discuss issues regarding your allergies, please contact us by clicking below.